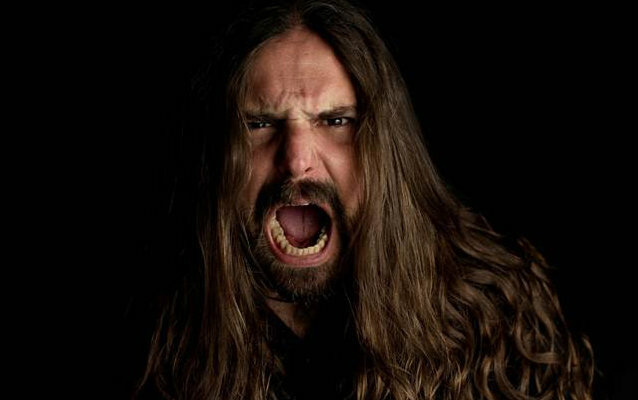 Guitar World magazine's January 2014 issue includes a "Dear Guitar Hero" feature on SEPULTURA's Andreas Kisser, who discusses the band's lengthy new album title, filling in for ANTHRAX's Scott Ian during the "Big Four"'s European tour dates, and his experience auditioning for METALLICA as James Hetfleld's temporary replacement (on guitar only) while James recovered from being burned onstage back in 1992. "Phil Rind, the singer and bass player from SACRED REICH, was very good friends with [then-METALLICA bassist] Jason Newsted," Kisser said about how his METALLICA audition came about. "He mentioned my name to Jason, and Jason said, 'Yeah, If you can manage to come to the United States, we're going to be in Denver auditioning different guitar players.' So I bought a ticket right away, and the next day I was going to Denver. I knew all the METALLICA stuff by heart — that's like my school — except the Black Album, which was very new at the time. But I went there and I practiced with them the first day. James wasn't there — only Lars [Ulrich], Kirk [Hammett] and Jason, and I played the songs, and they liked it a lot. Jason was really excited about my playing and they asked me to stay the second day, which were the finals. James was there that day. It was between me and James Marshall [METAL CHURCH guitarist and onetime METALLICA roadie], who had already filled in before when James broke his arm skateboarding. "Maybe they didn't choose me because I wasn't really ready with the full repertoire. I played many songs with them — 'The Shortest Straw', 'One' and 'Enter Sandman' — but 'The Unforgiven' was kind of hard for me, as was 'Nothing Else Matters'. Plus, I was nervous as well. To walk into a METALLICA practice room... The first time you see everybody there, it was like a dream/nightmare for me. But from there I got to be really good friends with them, especially Jason Newsted. We've met many times after that, and we've done demos together and jammed and stuff, so It was awesome. Even though I didn't get the job, it was an amazing experience for me." 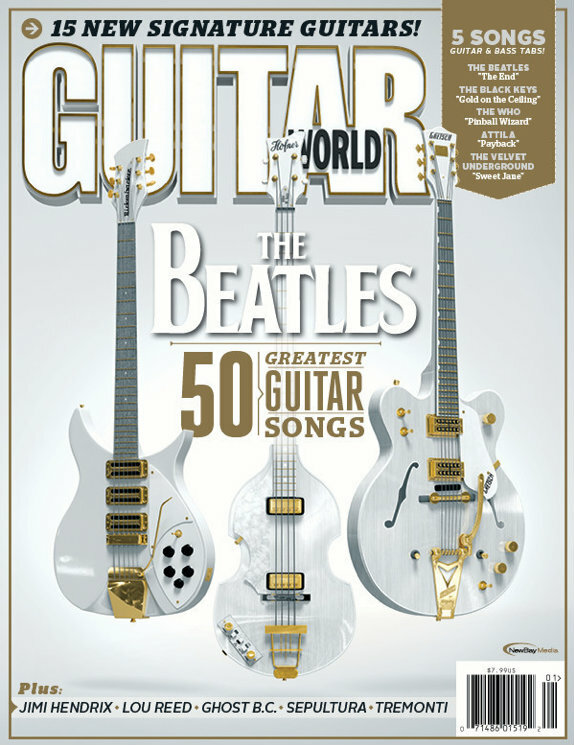 Pick up a copy of the Guitar World issue at your nearest newsstand or order it online at this location.